Continuing our study of the asteroids via the New Moon Chart, we notice a conjunction exactly at **0 degrees of Capricorn (Aries Point, as is all the 0 point of Cardinal signs: Aries, Libra, Capricorn, and Cancer). The conjunct is between the asteroid Apollonia (which deals with success, expansion and the idea of “many” or more than one) and the asteroid Banks (financial matters, banks). It could be showing us the expansion of the stock market, which has been running rather high lately. Or it could be matters related to financing or expanding business…or that to have success you need more than one source. Across the way, **15 degree of fixed signs (represents all fixed signs: Leo, Aquarius, Taurus and Scorpio) sits Hestia (work and goals, things at a distance) and Savo (saving). These energies could indicate we should make saving a goal in the coming months. Saving money through work that ends up in a bank would be another interpretation of this energy. If you open the concept up then the idea of saving information regarding work or goals for the purpose of expansion and financial success also flows from that group of energies. The fact that these points show up at the Aries Point could be that we will witness these events in our world as well. We could return people to their jobs to help the economy—and while this sounds very hopeful if we add in the rest of the arms ** (every 22degrees30 minutes) it appears it won’t be as easy as it sounds to accomplish this. Truth is retrograde, so it will be difficult to know the truth, even when seeking it. Truth can be different for different people. With Hygeia, the energy is creates a need to be clean or clean things up in order to get to that truth. Adding the Mars energy for aggression and anger could tend to make the situation even more volatile. The anger of a situation can also make it hard to see the “truth” clearly. Many of the “saves” could hit their mark but some will leave us grieving and in some cases there will be those who will be dealing with sleep issues as well over either what is going on in the world, or what is going on in their own world, particularly as it relates to finances and the idea of expanding or saving. From the Tisiphone (just rewards) conjunct Ceres (mealtime, food, care-taking, parent child issues) there can be issues related to over eating that now we are paying for (Apollonia=expansion) Just rewards (Tisiphone) for over eating (Ceres). Perhaps the more obvious truth is that there could be a need to clean up our act on some level. Truth, Hygeia, Mars. Or we will be left to grieve over the expanding injustices. Grieve, Apollonia, Tisiphone. It will also be important to ferret out the truth and save our energy until we can clear out the mess before exacting justice. Savo, Mars, Hygeia, Tisiphone. Through the process some of us will lose some sleep—Hypnos! There is so much we can glean from these asteroids, so many stories and so much wisdom. If asteroids mean “all they can”, then with Apollonia, there will be many possibilities. Remember also the idea of Hypnos can be those who are sleep walking and not paying attention OR those who are “mesmerized” by something/someone who can really get around the truth. Remember that with Tisiphone, justice will still prevail and when it is least expected there will be grieving. The beauty of knowing these little rocks is that we can look at the details of the truth in a very clear and decisive way, opening us up to being more objective and as a result allowing us to save our judgment until things have cleared up a bit and the truth is not so elusive. Mars, Savo, Hygeia, Tisiphone, Truth. 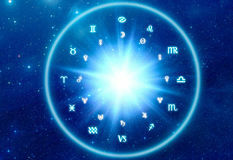 As with all astrology the knowledge can help us to be more thoughtful and mindful to our approach to life, allowing us to be more empowered as people.